9781501221804 | 3 una edition (Brilliance Audio Lib Edn, January 20, 2015), cover price $29.97 | About this edition: Learn sales from the best in the business! 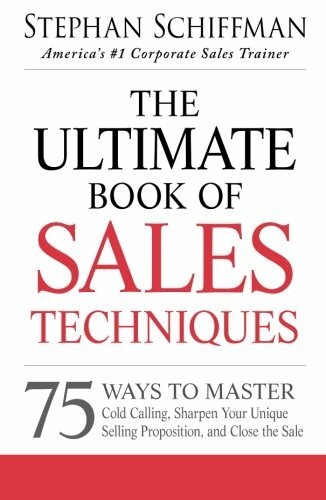 9781501221774 | Unabridged edition (Brilliance Audio, January 20, 2015), cover price $9.99 | About this edition: Learn sales from the best in the business! 9781480572249 | Mp3 una edition (Brilliance Audio, April 1, 2014), cover price $9.99 | About this edition: Learn sales from the best in the business! 9781480572263 | Mp3 una edition (Brilliance Audio Lib Edn, April 1, 2014), cover price $19.97 | About this edition: Learn sales from the best in the business! 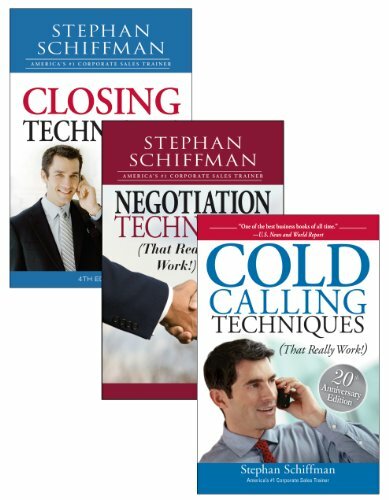 The definitive guide to cold calling success!For more than thirty years, Stephan Schiffman, America's #1 corporate sales trainer, has shown millions of salespeople how to close a deal. In this newest edition of Cold Calling Techniques (That Really Work! ), he'll show you why cold calling is still a central element of the sales cycle and where to find the best leads. Updated with new information on e-mail selling, refining voice-mail messages, and online networking, his time-tested advice includes valuable discussion points that you'll need to cover in order to effectively present your product or service and arrange a meeting. Schiffman teaches you how to use his proven strategies to:Turn leads into prospectsLearn more about the client's needsConvey the ability to meet the client's demandsOvercome common objections With Cold Calling Techniques (That Really Work! ), 7th Edition, you'll watch your performance soar as you beat the competition and score a meeting every time! 9781440572173, titled "Cold Calling Techniques (That Really Work!)" | 7 edition (Adams Media Corp, January 1, 2014), cover price $11.99 | About this edition: The definitive guide to cold calling success! 9781580628563 | 5th edition (Adams Media Corp, September 1, 2003), cover price $9.95 | About this edition: Cold calling is a critical skill for those in sales. 9781480572201, titled "The 25 Sales Skills: They Don't Teach at Business School: Library Edition" | Unabridged edition (Brilliance Audio Lib Edn, April 1, 2014), cover price $29.97 | About this edition: Master the skills you canât learn in a classroomYou can break into todayâs cutting-edge sales forceâand become a leader. 9781480572218 | Mp3 una edition (Brilliance Audio Lib Edn, April 1, 2014), cover price $19.97 | About this edition: Master the skills you canât learn in a classroomYou can break into todayâs cutting-edge sales forceâand become a leader. 9781440550249 | Adams Media Corp, January 18, 2013, cover price $14.95 | About this edition: The secrets of breakout selling! 9781440556258 | Adams Media Corp, January 18, 2013, cover price $14.95 | About this edition: Game-changing terms every salesperson should know Wouldn't you like your prospects to know that you can help them develop new solutions, create substantial efficiencies, and improve profit margins? 9780071791625 | McGraw-Hill, November 8, 2012, cover price $18.00 | About this edition: From Americaâs #1 sales trainer--the ultimate closer's guide for selling services Stephan Schiffman--the acclaimed author of The 25 Habits of Highly Successful Salespeople and other top-selling sales books--applies his proven strategies to help you get the edge in one of the most challenging but potentially rewarding categories in the sales game. 9780071788700, titled "The Power of Positive Selling: 30 Surefire Techniques to Win New Clients, Boost Your Commission, and Build the Mindset for Success" | McGraw-Hill, December 15, 2011, cover price $24.00 | About this edition: Think like America’s #1 sales trainer―and close more deals than ever Stephan Schiffman has trained more than half a million sales professionals. 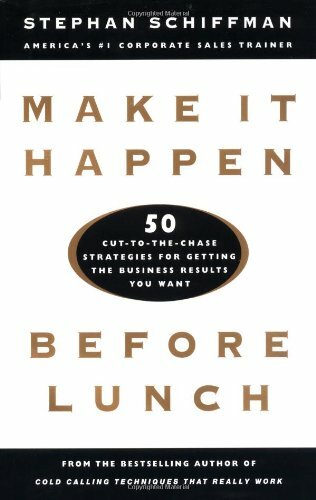 9780071360715 | McGraw-Hill, September 1, 2000, cover price $16.95 | About this edition: Taking his cue from the legendary Hollywood deal maker, Swifty Lazar who once said âMake something happen before lunch,â Stephan Schiffman has boiled down his extensive business experience into inspirational lessons that any business professional can use. 9780071788687 | Reprint edition (McGraw-Hill, December 1, 2011), cover price $18.00 | About this edition: âStephan Schiffman can make a believer, and a winner, out of almost anyone! 9780071767378 | McGraw-Hill, May 23, 2011, cover price $17.00 | About this edition: Turn common objections into BIG OPPORTUNITIES! Sales is all about negotiation. Price. Delivery. 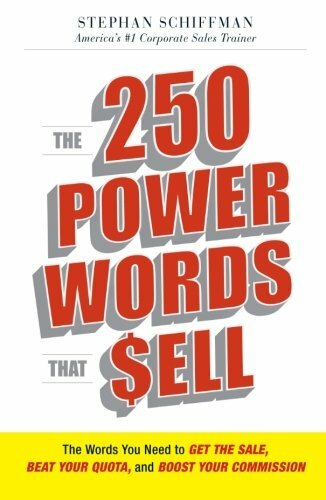 Terms.And every day, salespeople leave money on the table. They just don't have the skills to get what they want. 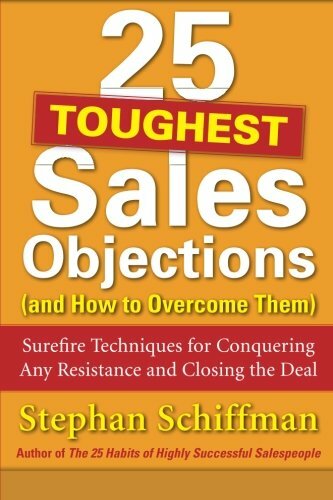 Now Stephan Schiffman, drawing on years of experience, shows you how to nail the sale, hit quotas, and boost the bottom line. Schiffman-style negotiation is all about getting the best deal. And he outlines specific techniques to get there.Things can be tough out there. But with Schiffman's negotiation skills in your pocket, you can do battle and win. 9781598698275 | Adams Media Corp, December 18, 2009, cover price $11.95 | About this edition: Sales is all about negotiation. Career Salesperson: Recharge Your Drive and Ambition, No Matter What Your Age; over 2 Million Schiffman Books Sold! Times are tough all over. Wall Street is shivering and consumer confidence is dropping like a rock. Yet it's possible for the enterprising salesperson to still gain prospects, sign new clients, and close the deal. All it takes is persistence, energy, some new thinking, and the advice of Stephan Schiffman, American's top corporate sales trainer. 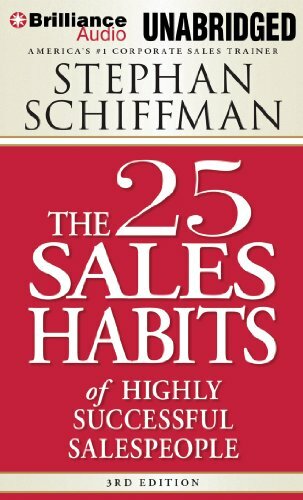 Schiffman shows you how to:Treat customers individuallyMake life easier for customers in bad timesShow that bad times won't last foreverReorient their thinking now to prepare for the future Across America, the sales landscape is changing swiftly. But even in an economic downturn, salespeople can surviveâand thrive! The key to success is to learn how to sell when no one is buying. 9781605506609 | Adams Media Corp, June 18, 2009, cover price $12.95 | About this edition: Times are tough all over. For sales managers, the need to keep key accounts happy--and growing--is just as important as closing the first deal. In Mastering Your Key Accounts, world-renowned sales guru Stephan Schiffman teaches sales managers to identify key team players, and build alliances to conquer vital territories through developing a Major Account Mapping worksheet. Armed with Schiffman's dynamic action plan, readers can generate new business, penetrate new accounts, and maximize existing relationships with key clients. 9781593375348 | Adams Media Corp, December 1, 2006, cover price $14.95 | About this edition: For sales managers, the need to keep key accounts happy--and growing--is just as important as closing the first deal. 9781598698206, titled "Closing Techniques (That Really Work!)" | 4th edition (Adams Media Corp, March 18, 2009), cover price $9.95 | About this edition: Many salespeople can line up prospects, recite the benefits of their product or service, and stir the interest of their client. 9781580628570 | 3 rev upd edition (Adams Media Corp, May 1, 2004), cover price $9.95 | About this edition: The world's best-selling closing book - revised and updated. 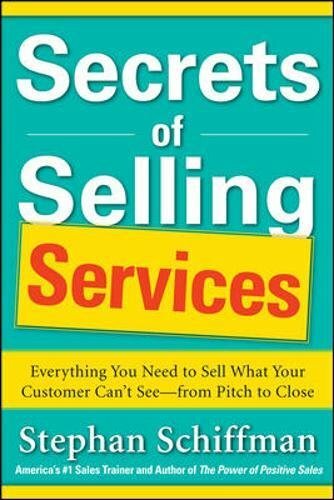 9781580621724 | 2nd edition (Adams Media Corp, October 1, 1999), cover price $8.95 | About this edition: The book shows you how to integrate the closing process into a productive, professional sales cycle - and turn prospects into allies, not adversaries. 9781440525216 | Pck edition (Adams Media Corp, October 22, 2010), cover price $31.85 | About this edition: SPECIAL SHRINKWRAPPED BUNDLE! E-Mail Selling Techniques: That Really Work! E-mail has revolutionised the way we do business. 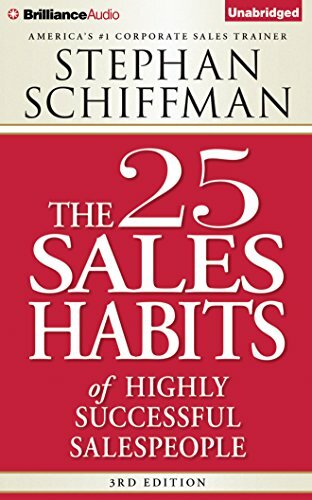 In "E-mail Selling Techniques", sales guru Stephan Schiffman addresses e-mails' role in the twenty-first century sale: when to use e-mail to correspond with a prospect or established account, and when a traditional medium is more appropriate. "E-mail Selling Techniques" offers essential guidelines for the proper length and format of sales e-mails, advice on tone and content and tips for writing attention-grabbing subject lines. 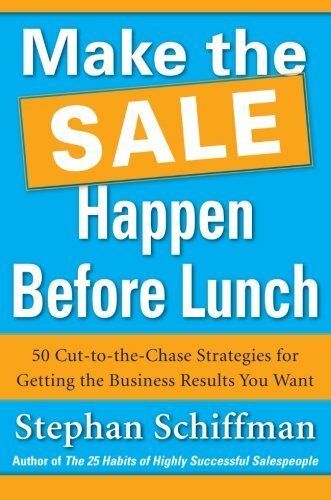 The essential book for sales professionals who rely on computers and portable e-mail devises to get the deal done. 9781593377441 | Adams Media Corp, January 1, 2007, cover price $9.95 | About this edition: E-mail has revolutionised the way we do business. Having trouble closing your deals? Hitting a frustrating plateau with your sales numbers? Feel that upselling is a lost cause? Let sales guru Stephan Schiffman drive your sales pitches up a notch with his tried-and-true techniques - and get results immediately!Stephan Schiffman's Sales Essentials includes time-tested tips on:Mastering the cold callUsing email as a selling toolRaising the stakes to "up" your next buyClosing the deal - every time! Plus, you'll also find 50 surefire questions to ask to make deal after deal, year after year. 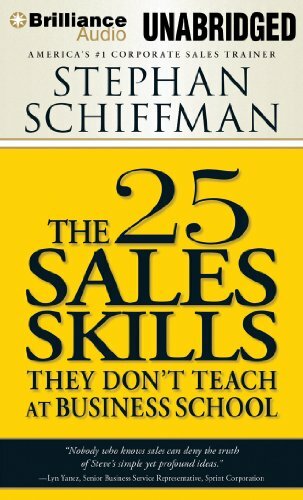 Packed with insider information you need to beat the competition, you can't afford not to read Stephan Schiffman's Sales Essentials! 9781598692280 | Adams Media Corp, January 1, 2008, cover price $16.95 | About this edition: Having trouble closing your deals? Beat Sales Burnout is the perfect antidote for salespeople who need a boost. The time-tested strategies in this book help readers overcome job burnout, turn destructive stress into creative stress, increase productivity and make sales slumps a thing of the past. Salespeople have to be on their game 100 percent of the time. The proven strategies for self-renewal in this book provide today's sales professionals with quick fixes for getting through the day, the week, the quarter and the year with their attitudes - and their incomes - on the upswing. The author shows readers how to: Take control of the day; Use the LBE Formula - live, breathe and enjoy your job; Focus on strengths, not weaknesses; Make realistic income forecasts; Improve relationships with sales managers; Also includes a special section for managers on hiring, managing and retaining burnout-free sales teams. 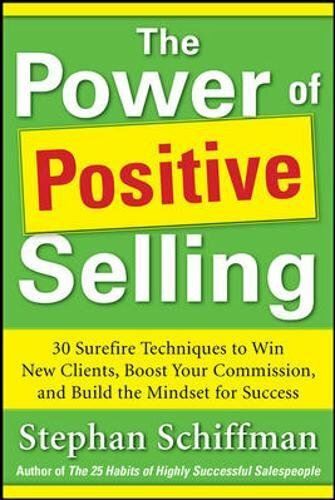 9781593371555 | Adams Media Corp, January 14, 2005, cover price $10.95 | About this edition: Beat Sales Burnout is the perfect antidote for salespeople who need a boost.